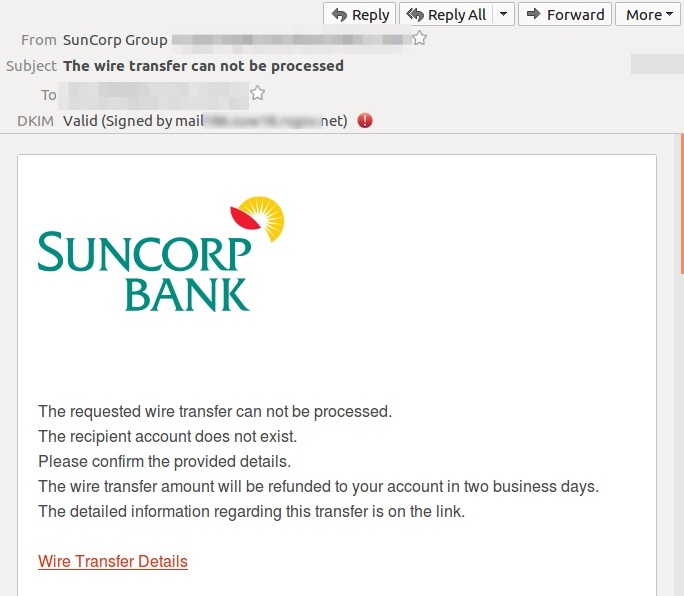 MailGuard has detected a new email scam involving a fake Suncorp wire transfer notification. 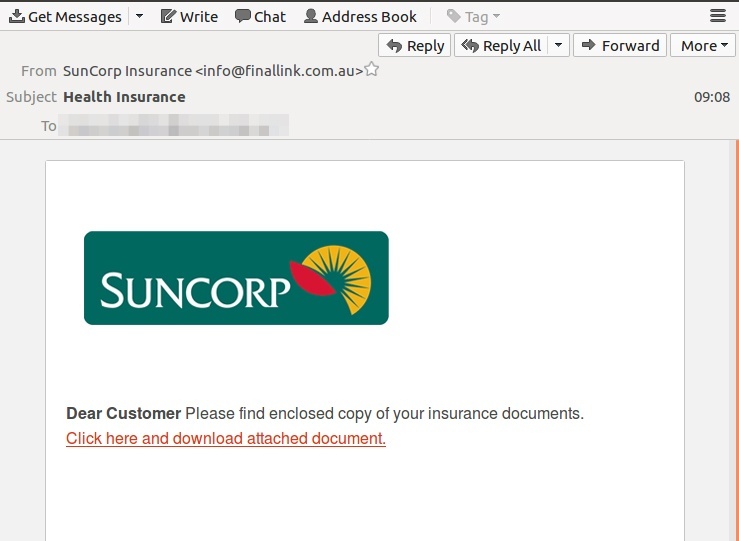 Be on the lookout for this email scam today using fake ‘Suncorp’ branding. The email was detected by MailGuard this morning and is currently being sent out in large numbers. The message shows the sender addresses ‘SunCorp Insurance’ or ‘Health Insurance,’ but the emails actually originate from a compromised MailChimp account.